The comfortable rooms of the Ala hotel are spacious, equipped with air-conditioning and all the amenities you need, to sleep in a quiet and comfortable atmosphere. Most of the rooms have a private balcony, while the others have an ample window, that makes the room bright and airy. The furnishing is simple, but well-finished. 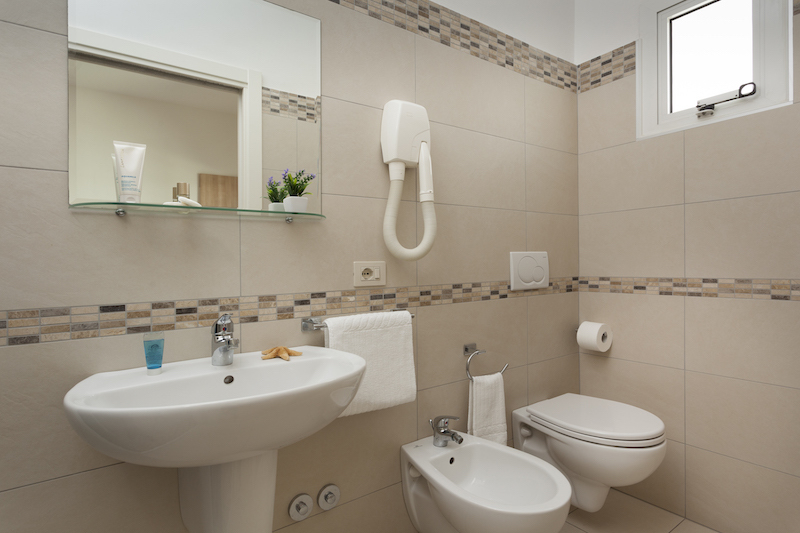 All the elegant and modern bathrooms have been just renewed. 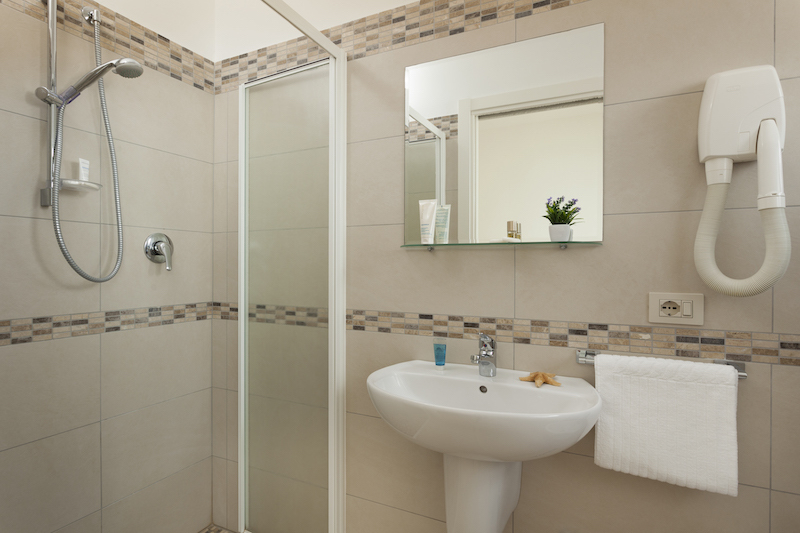 Every bathroom also has a shower stall with glass doors. 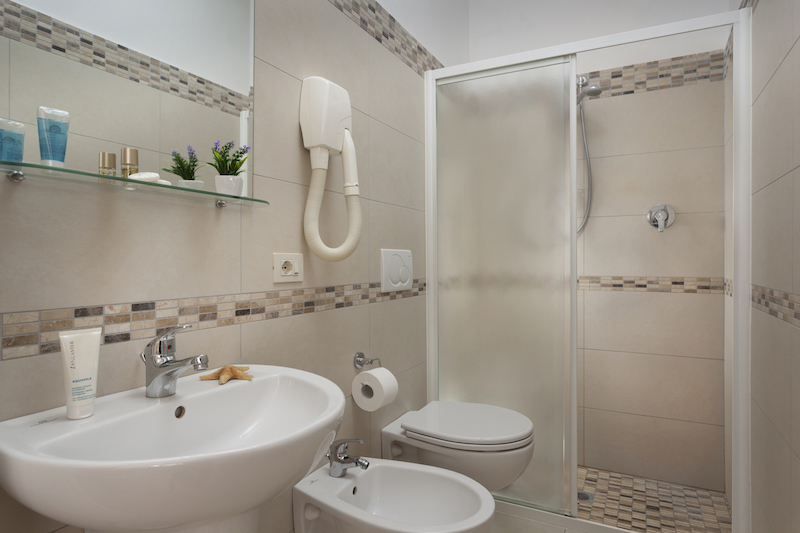 Additionally, hair-dryer, courtesy set and soft towels are available for our guests. 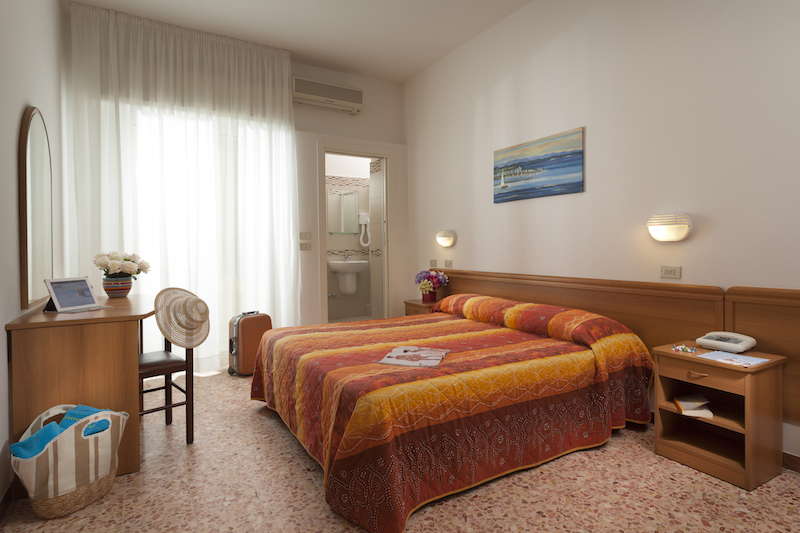 In the room you will find air-conditioning system, Wi-Fi internet connection, direct dial telephone and a LED TV. The rooms have automatic rolling shutters and soundproof windows with thermic isolation, in order to offer you peace during the night.